Being a doppelgänger to a celebrity isn’t all up-votes on Reddit—apparently it can warrant a black eye. 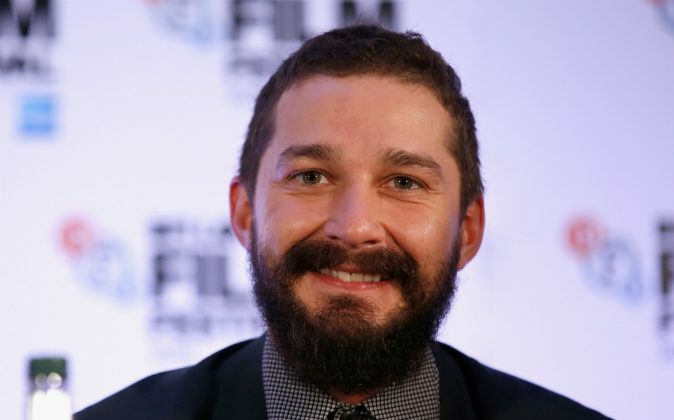 Mario Licato was allegedly punched in the eye due to his resemblance to actor Shia LaBeouf. According to the 26-year-old, he was entering a New York City subway station on the corner of Essex and Delancey streets on April 23, when he was sucker punched by a stranger. Licato was “knocked out cold” and awoke to a bloodied face and broken glasses. A couple who witnessed the incident described the assailant as a “white frat boy” who stood at least 6 feet tall. No arrests have been made and the investigation is ongoing—police are scouring for surveillance footage of the one-sided fight. As for his attacker, Licato has a few questions he’d like to ask. He is currently nursing a black eye but his self esteem has risen as a result of the incident. “This happened bc you look exactly like Shia LaBeouf.’ Well sir you boosted my self esteem bc he’s p hot,” he captioned the photo bearing his injured face on Instagram.